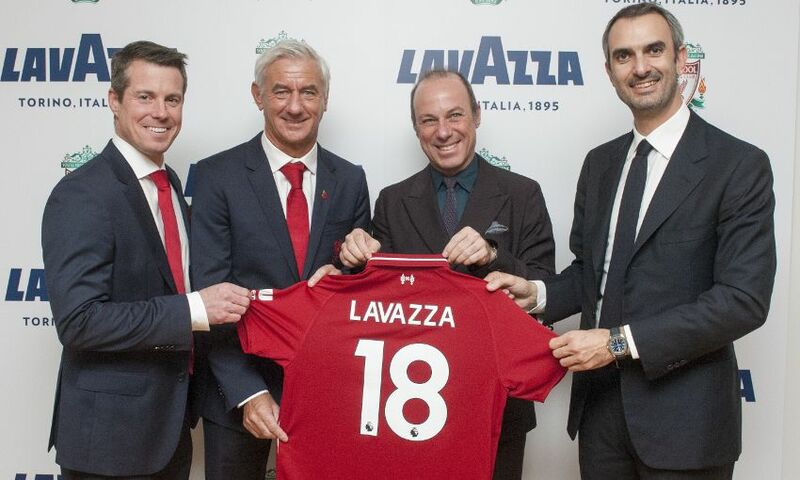 LONDON, UK – The Lavazza Group today announced two new local UK partnership signings, becoming the official coffee partner for both Arsenal and Liverpool Football Clubs. The new partnerships will unite the excellence of authentic Italian coffee with that of English top flight football. Over the coming three years, Lavazza will be the exclusive coffee supplier at both Emirates and Anfield Stadium. Lavazza’s product offering will include its new sustainable coffee blend for the food service segment, iTierra! Colombia, which will be available at c.150 boxes. This will be coupled with the premium single origin Kafa Forest Coffee which will be served in all VIP/player lounges and key points of sale within the stadiums. The family company has a long heritage of offering top-quality Italian coffee since its founding in Turin in 1895 – not long after the creation of both clubs: Arsenal FC in 1886 and Liverpool FC in 1892. Just as Lavazza combines its heritage, tradition and passion to create superior coffee experiences, Arsenal FC and Liverpool FC draw on these shared values to create outstanding results on the pitch. Lavazza has long been associated with the most prestigious sporting events. On a global level, the brand serves as the only food and beverage brand sponsor of all four tennis Grand Slams, which includes Wimbledon. Lavazza also partners in local markets with other premium events such as Royal Ascot (UK), the Mercedes Cup (Germany), and CHIO Aachen (Germany).